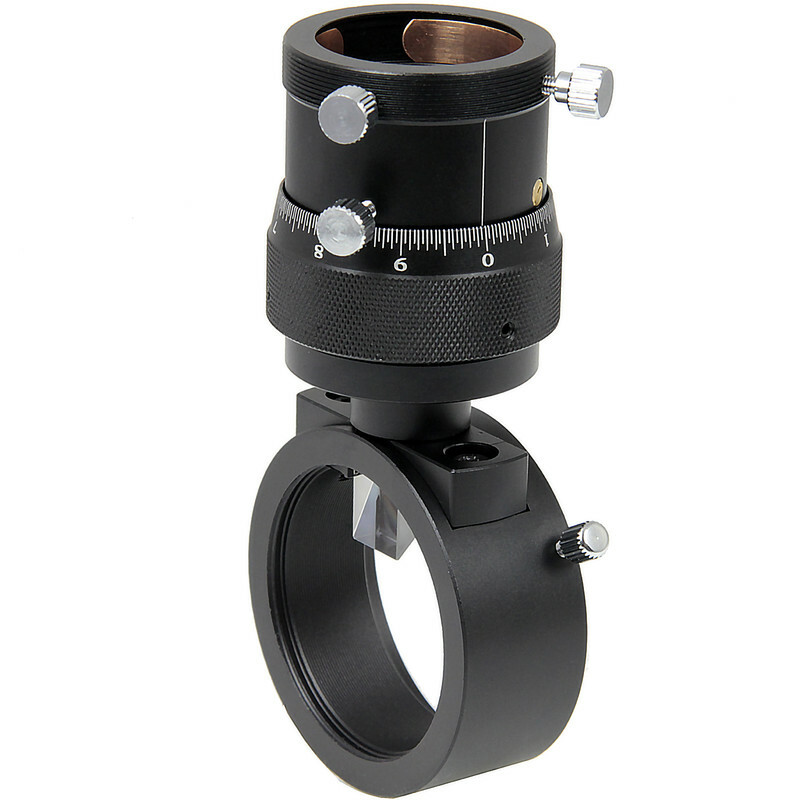 With an off-axis guider, perfect astrophotography is virtually in your grasp. Long exposure photos require precise tracking, which is the specialty of this guider, making it one of the necessary tools for astrophotography. You will soon have the most beautiful astronomy photos in the bag! An off-axis guider is a brilliant invention. This device sits in the 2-inch focuser in front of the camera. 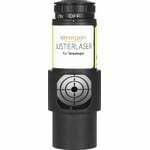 A small prism directs a little light from the telescope into a separate tube - where your guide camera or crosshair eyepiece is attached. This makes it possible to instantly correcting any tracking errors during the extended period over which your camera is exposing the image - for perfectly round stars! 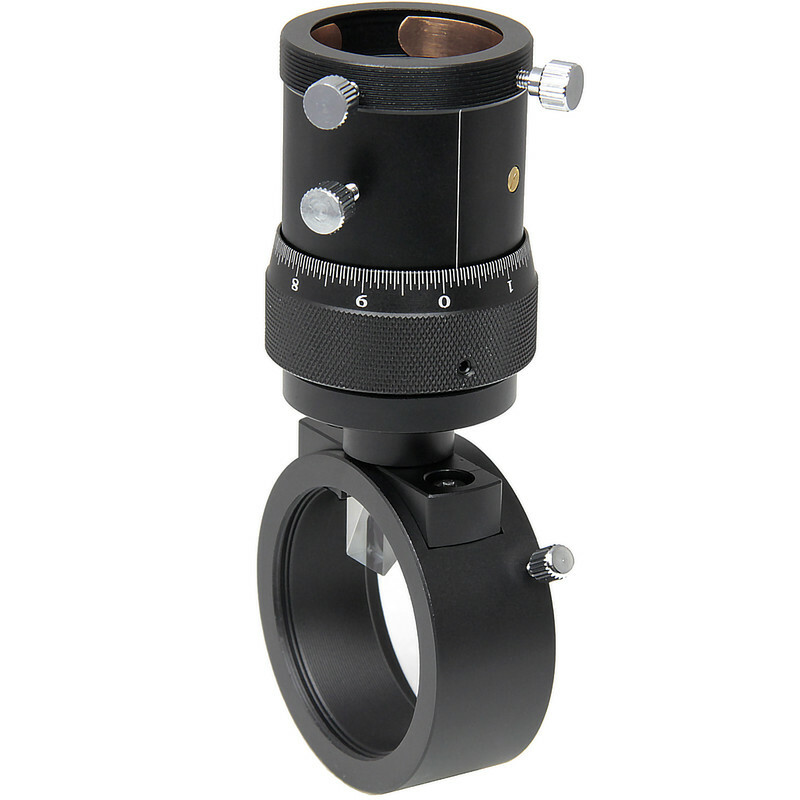 Easy to adapt - the Omegon off-axis guider has an M48 thread on the telescope side and an additional socket for 2 inch eyepieces. 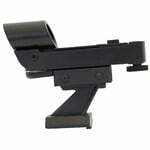 The accessory has three screws and a flat M48 adapter for connecting your camera. 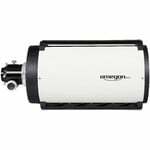 The advantage - you can rotate your camera at any time and find the optimum orientation for the astronomical object you are exposing. 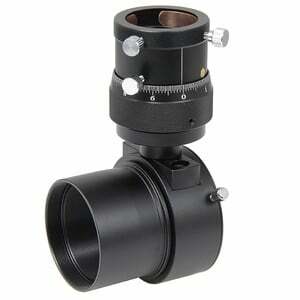 A small prism directs light into the control unit of your guider- into a 1.25-inch helical focuser. 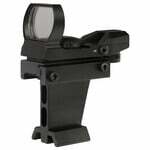 Now insert your auto-guider (an automatic tracking camera) or a crosshair eyepiece. With the generous 10mm of travel allows you will find the optimum sharpness for your guide star. Impressive - this special helical focuser can be adjusted to 0.05mm using the super fine scale. So you can always find the precise focus point very quickly. Guide scope or off-axis guider? For many, this is a matter of preference. But there is actually more to it than that. 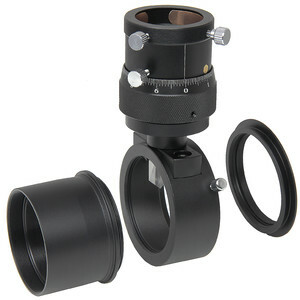 For longer exposures, the movement of the guide scope and telescope optics can be minimized - especially with mirror telescopes. An off-axis guider elegantly solves this task - as there is only one beam path and therefore no offset involved. In order to be able to focus a guide camera, some extension tubes must be employed between the off-axis guider and the object camera. 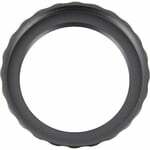 Which, and how many, tubes are needed depends on the flange focal distance of the guide camera and on the flange focal distance of the object camera. An M48 to T2 adapter is needed for other camera manufacturers.